Gardens often perform many functions, they are a nice, quiet place to relax and enjoy the pleasant weather, and they are a playground for your children. However, they also have to house the shed for tools and garden furniture as well as have a cooking area for the barbecue. With all these functions, it can be difficult to make your garden look beautiful while still keeping the practical side. However, there are ways you can adapt your garden to meet everyone’s needs. For children, there is nothing more exciting than having somewhere like a treehouse to play and get together with their friends. If you have a large enough tree, you can have a house designed around the branches that can be as elaborate as you wish. Some trees, especially some in cities such as London are protected, so you will need to seek advice before you proceed. It is also a good idea to enlist the help of professional builders to help you with the work. If you don’t have a patio, or it is too small, you should consider enlarging it to accommodate a larger seating area. You can then add a barbecue area with perhaps a separate fire pit for the cooler evenings. With some houses, you can install large patio doors or maybe a concertina door to open up the whole space between the house and garden. Speak with a qualified structural engineer London area who can help you with any extra support that may be needed. For the bigger gardens, having a nice pond or water feature can add another dimension to the overall look. You can even add fish to the pond and a nice bridge crossing over it to make it a real feature. Combined with a flowing fountain and some elegant water plants around the edge, it will make the garden look serene and calm. If you have small children, then you might want to raise your flower beds to stop plants becoming damaged. It can be easy to add some wooden or brick walls which can also add a nice border to the garden. You can also add some large planters or pots to keep small trees or larger plants along the edges. 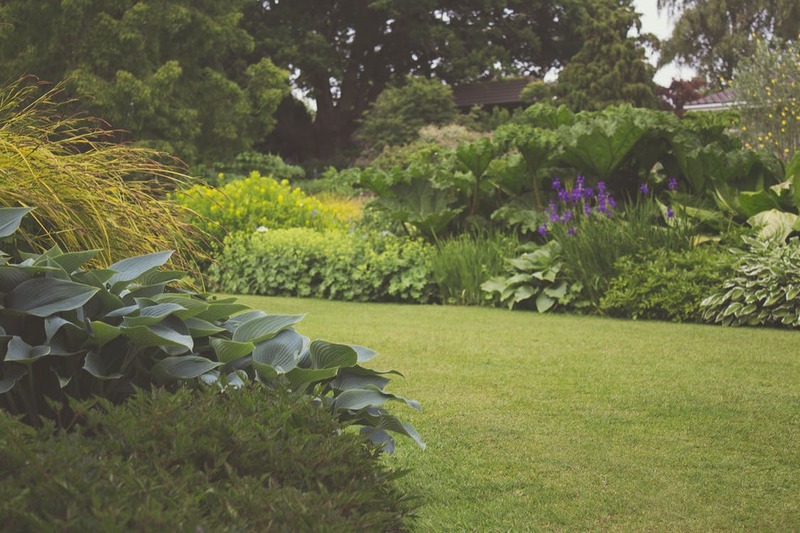 You don’t have to have square borders or planters; you can get creative and have them meander along the garden to break up the grassed area. Lighting serves two purposes, it allows you to see the garden even in the evening, and it also allows you to stay outside longer in the warm evenings. You don’t have to go for large standing lamps or halogen lamps that are very bright. You can use smaller lights along a wall or path to give a gentle illumination. With just a few ideas, you can change the whole look and function of your garden and make it a great place to relax and play.